Recycling spent lithium-ion batteries with new methods creates new value without costing the earth. Only 5% of lithium-ion batteries are recycled at the end of their useful lives, and smelting processes to do so are typically incredibly energy intensive and polluting. 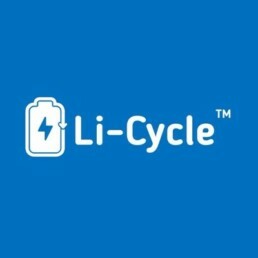 Li-Cycle has developed a new chemical technique to recycle some of the 11 million tonnes of spent lithium-ion batteries that will be discarded by 2030. The process uses significantly less energy and produces far less waste and pollution than conventional methods, allowing batteries to be recycled at less financial and environmental cost. The firm claims to have the potential to reduce greenhouse gas emissions by more than 1 billion tonnes of CO₂ equivalent by 2040. This solution was featured in Reuse to Repower market of the 2018 Global Opportunity Report, and was selected based on the criteria of that report. Li-Cycle’s innovative recycling methods are more waterefficient and result in far less water pollution than typical recycling methods. The electric vehicle industry offers a path to a greener future, and this solution ensures that the full life cycle of each car can be sustainably managed. Offering an affordable way to increase recycling rates of valuable natural resources will be critical to delivering on Goal 12. Li-Cycle is a clean technology company, on a mission to solve the global end-of-life lithium-ion battery problem and meet the rapidly growing demand for critical battery materials.